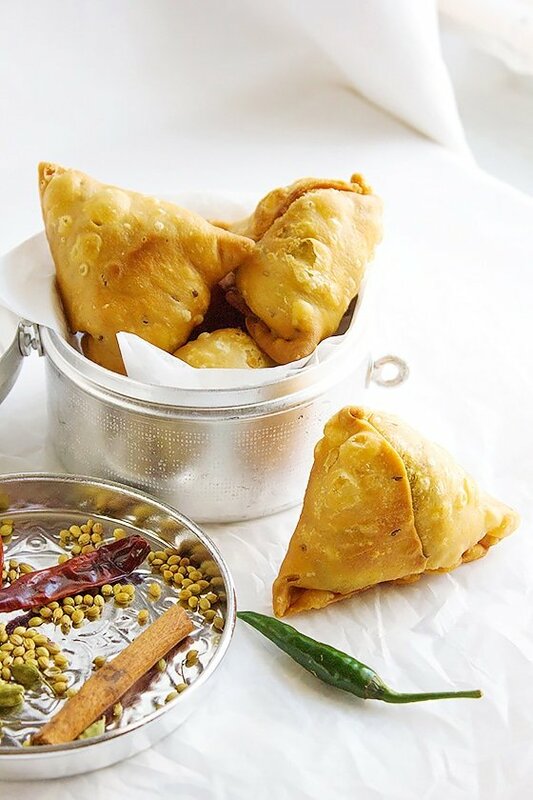 Punjabi Crunchy Beef Samosa – Making Punjabi Beef Samosa always brings joy to my house and there are many reasons for that besides the delicious taste of course. 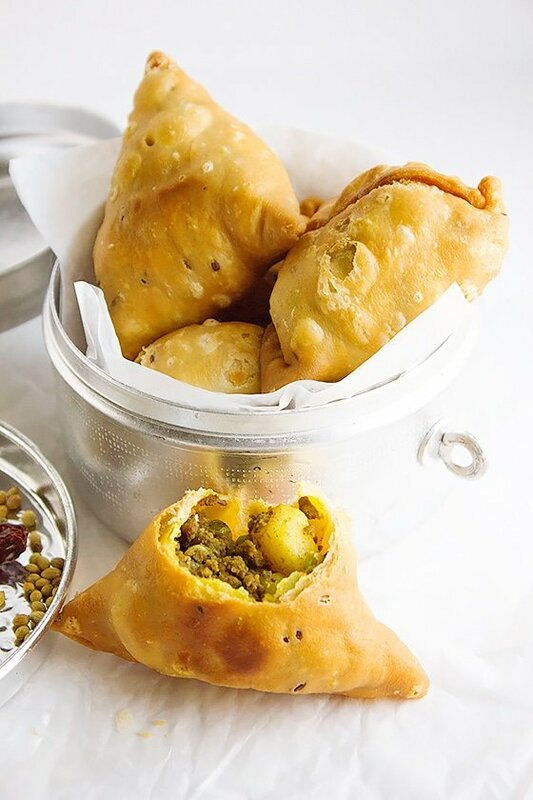 These beef samosas are filled with perfectly seasoned ground beef, potatoes, and green peas. The crust is butter based so need I say more? 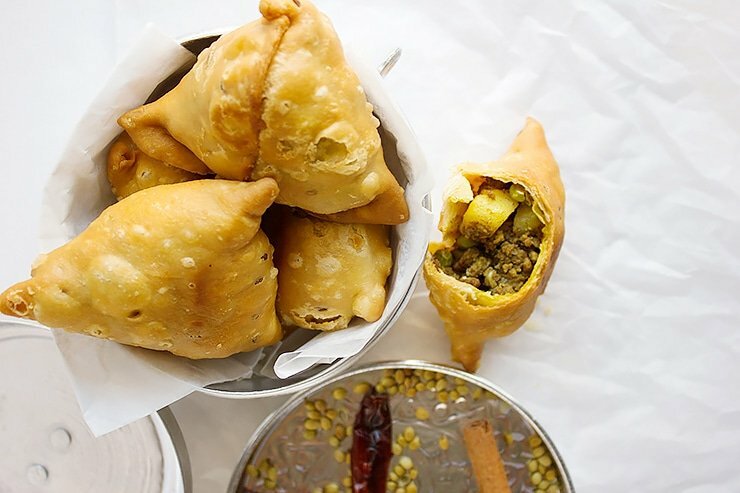 The outer crust of these samosas tastes like homemade pie crust, I promise that the crust alone will keep you mesmerized. Making Punjabi Crunchy Beef Samosa. 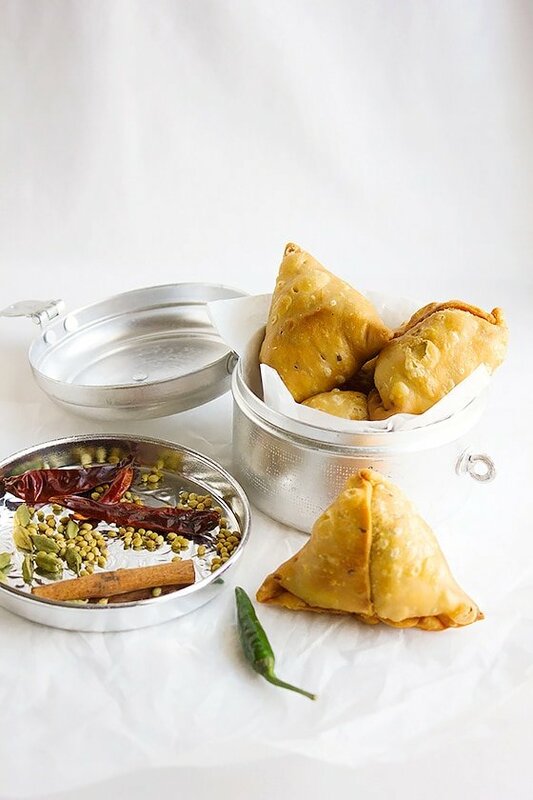 These Punjabi Crunchy Beef Samosas hold on to the wonderful flavor and crust texture for up to 3 days if kept in the fridge in an airtight container, all you have to do is microwave it for a minute and these bad boys will taste as if just made. 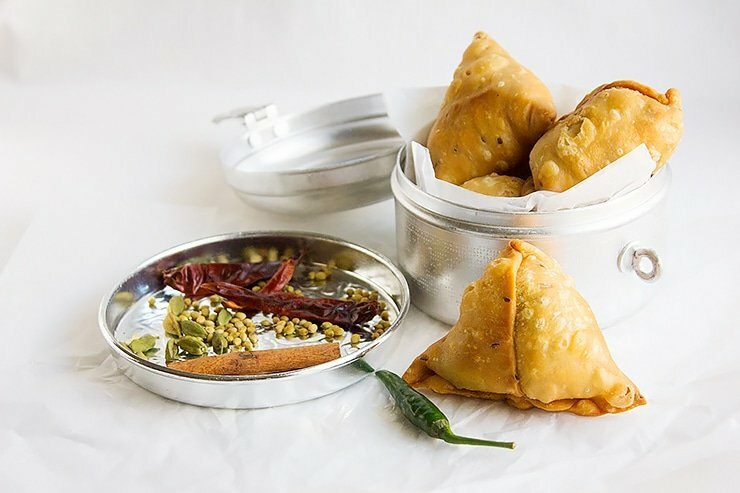 In India Punjabi Samosa is served with strong tea Indian Karak Chai, I suggest you go the Indian way and enjoy fresh and hot Punjabi Crunchy Beef Samosa with a delicious Indian tea. I didn’t use oil while making the filling because the beef had enough fat in it, but in case your ground beef doesn’t have enough fat, you can add two tablespoon oil while preparing the filling. 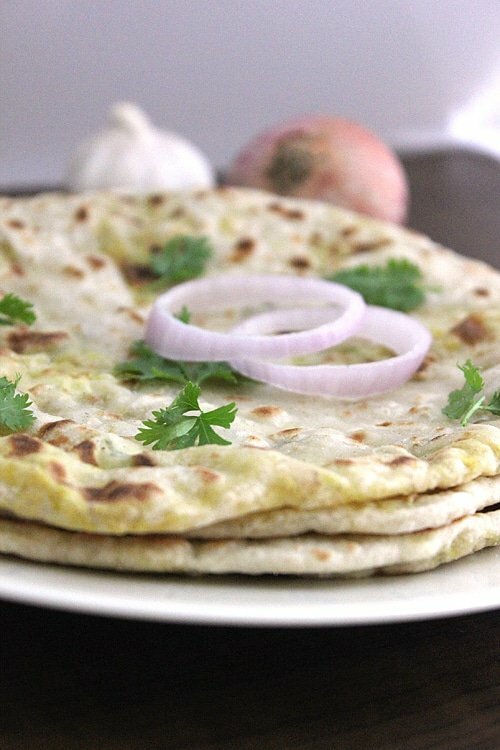 Let’s learn how to make beef samosa! Around two cups of oil. In a pan, add the ground beef and saute for few minutes or until it releases oil. Now add the onion and potatoes, stir until the onion is translucent. Add all the spices and salt, saute some more on medium high heat. Reduce the heat and cook until the onion turns light brown the beef is cooked. Add the green peas and cook for another three minutes. Keep aside. 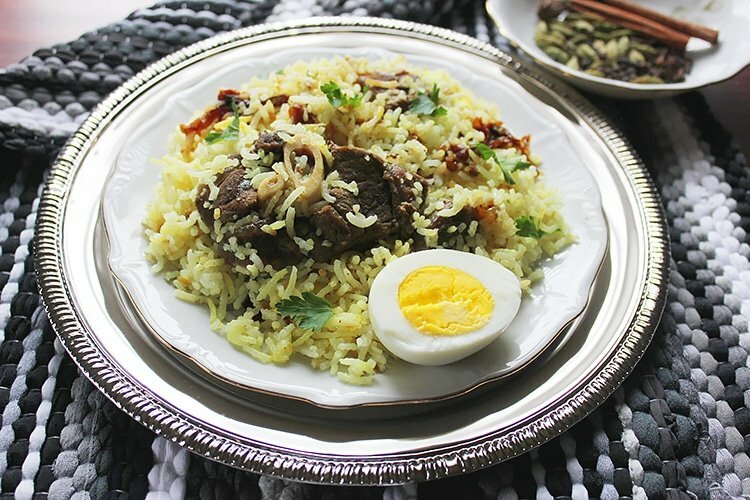 Note: No oil added to the filling since the beef had enough fat to cook everything with. In a bowl, add all the ingredients (except water) and mix well. Gradually add the water and knead until you get a smooth and not sticky dough. The dough should have a little firmness to it. Make 6 equal balls from the dough. Take one ball and roll with the rolling pin into a medium thickness circle around 6 inches. (This dough won’t need dry flour to roll). Use a knife to cut the circle into halves. Place this cone between your thumb and index finger. Fill the cone with the filling, might take two tablespoons or little less. Wet the edges of the dough with water and pinch to seal. Now you should have a triangle shaped samosa. Repeat this step with the rest of the dough and filling. 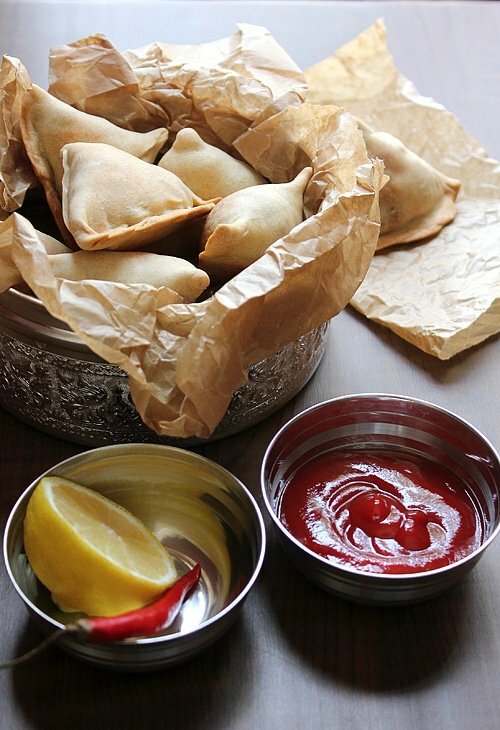 Cover the samosa with a cloth and keep it aside for 20 minutes. In a medium pan, heat the frying oil. 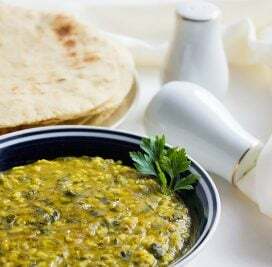 Add the samosas but do not crowd the pan. Fry on medium heat until the samosa is golden brown. The frying time may take from 7 to 8 minutes. Crunchy wrapper and savoury beef filling…they are totally irresistible. The filling can be used as the bun filling too. 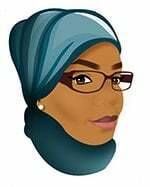 Well done, Muna. You are so on point with these samosas Muna!! 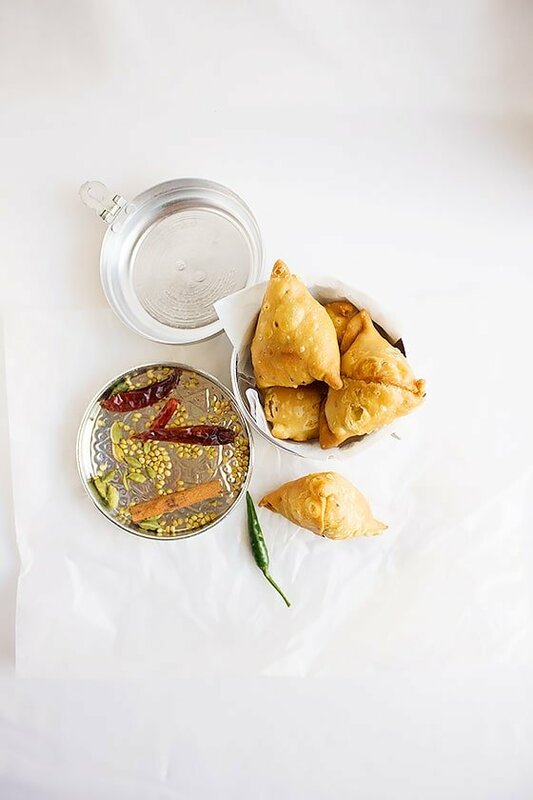 I grew up eating fresh piping hot samosas with even hotter chai and lots of spicy green chutney! You reminded me of back home with these samosas! Now I wish I was your neighbour as these look so delicious!! Okaaaaaay. This looks delicious! Everything is on point!I can’t wait to try this! I can’t believe I managed to make something like this! They were delicious. Friends and their kids loved them. The only change I made was to par boil the potato before adding it, as I’m picky when it comes to hard potatoes. Will make again. Had extra mixture left as I used more beef, had it on a wrap the next day. Yum. Can I use pastry flour (soft) if I don’t have all purpose flour ? I’m not sure if it will work but if you try it do let me know ho it came out!